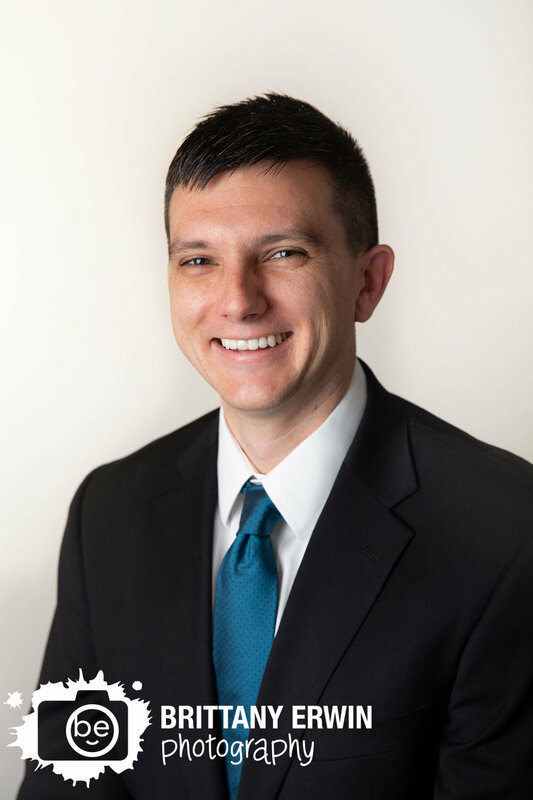 Chris specializes in commercial appraisal, brokerage, and property management with clients including banks, credit unions, individuals, attorneys, accountants, developers as well as government clients. If you or someone you know is in need of an appraiser, please check out the wonderful folks over at Appraisers, Inc that have been working in the field since 1985 as a full service appraisal and property management company. I am so thrilled to have our wonderful studio up and running especially with this cold weather going on outside. With our new solids and traditional grey backdrops, we now have a wide selection to help create the perfect headshot for anyone whether you need something fun and funky with our barn wood wall, a professional looking portrait against our traditional grey or painted stretched canvas or just something clean like a solid white or black backdrop. Thanks again to Chris for coming out and trusting Brittany Erwin Photography with your headshots!